American bomber B-24 “Liberator” after the forced landing. B-24J-80-CO The Chambermaid, serial number 42-100227, belonged to the 38th Bomber Squadron of the 30th Bomber Group. 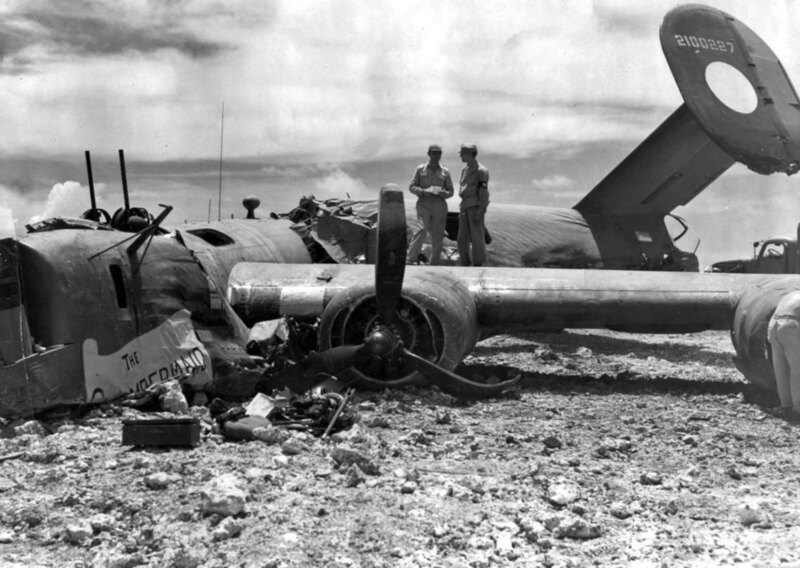 The B-24 was damaged by the fire of antiaircraft guns and fighter jets over Iwo Jima on September 11, 1944 – two 20-mm shells caused serious damage and wounded three crew members. After 5 hours, the bomber landed on the island of Saipan (Mariana Islands). The landing took place in difficult conditions, but all 11 crew members survived and were awarded with the medal “Purple Heart”.